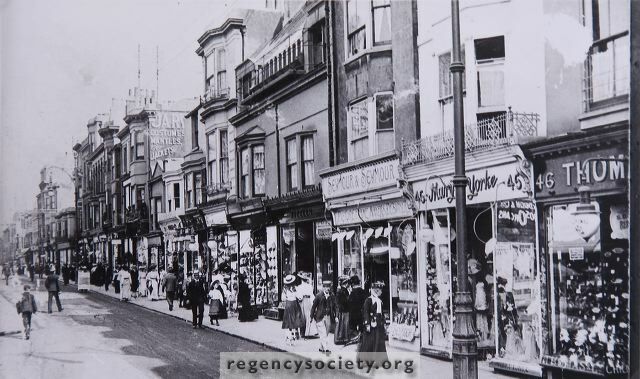 Western Road on a summer’s afternoon in 1910. Note the women’s fashions, the narrow road and absence of traffic. 41 years later, Mary York’s shop is still at no. 45.